So you are looking for budget friendly houseboat ride? 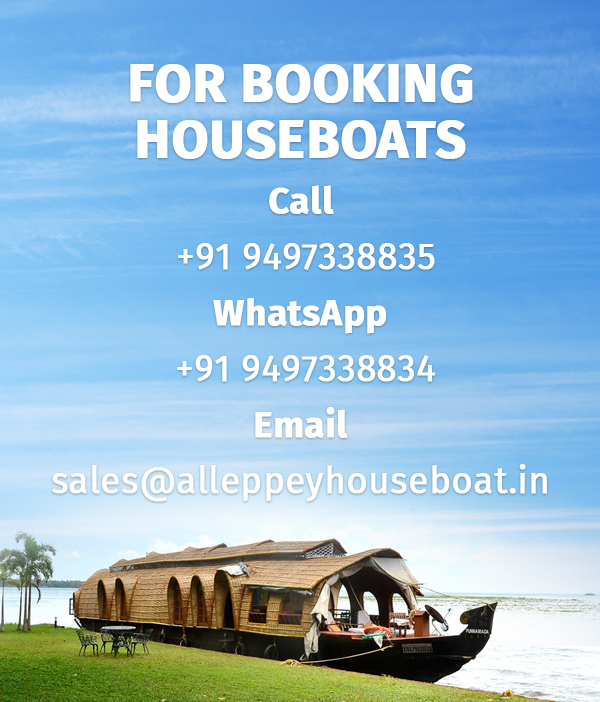 Shared houseboats in Alleppey is the best option for you. Shared houseboats pricing starts from Rs 4499/- per couple for 1 bedroom in deluxe houseboats. Share houseboat is the cheapest available houseboat option. Houseboats used in the shared houseboat will be 2 bedroom to 8 bedrooms. Based on the requirement we will choose the houseboat. Guest will get a private independent deluxe room with AC (9 pm to 6 am). All facilities will be same as all other House Boats, Only difference is that there will be different families or couples in other rooms, That will not affect in your enjoyment. Rooms A/C Will work night 09 pm to Morning 06 am. Why Should i choose shared houseboats? Shared houseboats are one of the budget friendly option if you an to experience houseboat overnight cruise in Alleppey or Kumarakom in Kerala. Are these shared houseboats safe? Yes,shared houseboats are safe. You will get a private room in the shared houseboat & our houseboat staff will be there for any assistance. so there will not be issues with cruising in shared houseboat. Do you provide shared houseboats in Premium & luxury houseboats segment? Sorry, Presently we are not providing shared houseboat in Premium & Luxury segment. shared houseboats packages are designed for budget tourists. How many persons can accommodate in one room in shared houseboat? What is the food menu in the houseboat? What is the timing of shared houseboat ? 12 pm to 5:30 pm boat ride through the backwaters. 5:30 pm to net day morning 8 am boat will stop near the village (because its a government rule). Is there any alternate cheaper option to enjoy backwaters of Alleppey an Kumarakom? You can choose shikara boats in Alleppey for cheaper rates. Starting from Rs 600 per hour. Shikara boats will go through narrow canals which houseboats cannot go.